On its face, tropical wood certified by the Forest Stewardship Council sounds a good thing. FSC promises that their wood is procured in an “environmentally responsible, socially beneficial, and economically viable way.” But, if you follow the paper trail, you’ll discover that FSC-certified wood is all too often riddled with controversy. FSC has repeatedly certified wood gutted from ancient, virgin rainforests across the globe, including South America and Africa. In addition, the FSC has repeatedly turned a blind eye to human rights atrocities associated with the forestry operations that they certify. 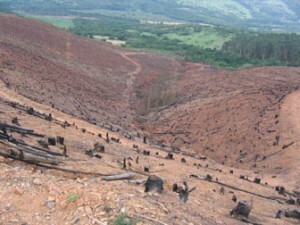 One of the most recent examples occurred this year in Brazil when a nonviolent, popular movement of indigenous people and campesinos rose up against an FSC-certified plantation, which they rightly referred to as a “green desert” because of the way it “destroys local people’s livelihoods and environments.” Despite a violent eviction by military forces these affected communities continue to fight for human and environmental rights. 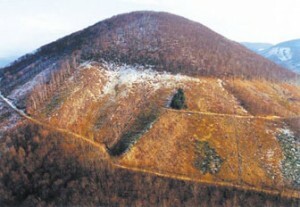 Simon Counsell, a Founding Member of the Forest Stewardship Council in 1993, became so concerned about the constant erosion of the FSC’s reliability that he went on to found www.fsc-watch.org, which seeks to watch dog the FSC and encourage debate about its practices. Counsell believes that many of the FSC’s drawbacks are due to its tendency to look at each individual logging operation as a separate entity while ignoring the big picture of what industrial logging is doing to rainforest ecology. “Whilst a logging concession might appear to be ‘sustainable’ at this small-scale level, the whole development model that accompanies industrial logging concessions might be highly non-sustainable and destructive,” Counsell says. Perhaps that explains why Friends of the Earth UK withdrew its support of the FSC last year, and the government of Norway has declared that they will no longer use rainforest wood—whether it is certified or not. In this video clip, Jane Goodall, the famous primatologist and UN Messenger of Peace, isn’t asking New Yorkers to use certified rainforest wood. 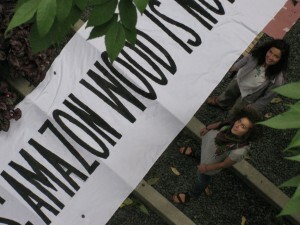 She’s asking us NOT to import wood from tropical forests. We recognize that ending the industrial logging of ancient rainforests is critical to addressing climate change, protecting biodiversity, and respecting the rights of indigenous forest-dwelling peoples.